Neal was born in Fort Wayne, Indiana and grew up in Northeast Indiana. Neal received his undergraduate degree from Indiana University in Bloomington. After completing his undergraduate work, Neal remained in Bloomington, where he obtained his Juris Doctor degree from the Indiana University Maurer School of Law. While in law school, Neal competed in the Sherman Minton Moot Court Competition and clerked for the Honorable Gerald Zore or the Marion County Superior Court. Neal also worked for the law firm Applegate, McDonald and Koch, P.C. in Bloomington, during law school. 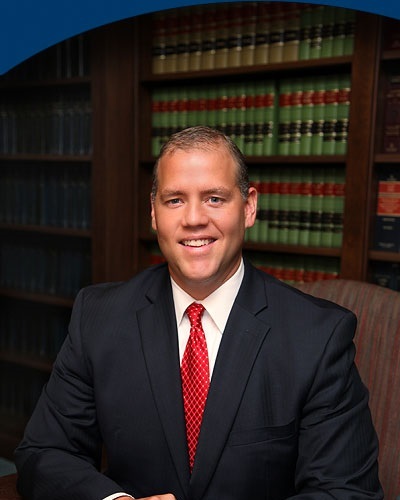 Neal came to the firm in 2003 and is licensed to practice in the State of Indiana and the United States District Court for both the Northern and Southern Districts of Indiana. Neal has been a Deputy Prosecuting Attorney for DeKalb County, Indiana since 2003 and currently serves as Chief Deputy Prosecutor. Neal has served as General Counsel for the Town of Clear Lake Indiana, the Clear Lake Plan Commission and the Clear Lake Board of Zoning Appeals. Neal has represented DeKalb Central School District, Garrett-Keyser-Butler School District, Smith Green Community School District, the City of Auburn and many local corporate clients for their litigation, transactional and planning needs. Neal’s extensive litigation experience includes serving as lead counsel for numerous jury and bench trials. Neal resides in Auburn and is a member of the Indiana State Bar Association and DeKalb County Bar Association. Neal has held officer positions in the DeKalb County Bar Association by previously serving as Secretary/Treasurer, Vice-President and President. Outside of the office, Neal has been active in many local civic organizations, including previously serving on the Board of Directors of The DeKalb County United Way (President 2013-2014), DeKalb County H.O.P.E., Inc., DeKalb County Habitat for Humanity, DeKalb County Police Athletic League, DeKalb County Visitors Bureau, and Woodlawn Cemetery Association. Neal currently enjoys coaching youth sports, including Auburn Little League Baseball, DeKalb Rocket Football and DeKalb Wrestling Club. Neal resides in Auburn with his Wife Melanie and three children Lauren, Graham and Mia.